With digital marketing gaining momentum recently, more businesses are implementing effective digital tools to strengthen their marketing strategies. 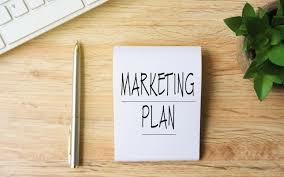 In an attempt to maximize profit and reach the target audience better, all businesses are searching for the most effective way to manage their business online. One thing a potential buyer will check before parting with his money on your website is your business reputation online. The internet has dissolved many barriers hindering a business from reaching out to its customers. Therefore, the reputation of your brand online can meet success or failure for your business. Having the right strategies in place to manage your business online effectively is the right way to go if you must succeed in today’s technologically driven business environment. It doesn’t matter whether you whether you need to create social media profiles for your business. Chances are they already exist, and if that is the case, then, you have to claim them. If you delay, your competitor might claim them before you realize their significance. Negative feedback and reviews can affect your online reputation adversely. Responding quickly to criticism can calm the nerves of an angry buyer and portray your brand as one that has great customer rapport. One of the best ways to increase the credibility of your brand online is by registering in local business directories. You can get your business listed in many directories so that it can easily feature in local searches. This is the most critical way of managing your business online. Look through your social media pages, what are consumers in need of? Start investigating the market, and then you can look for the perfect product for them. If you can craft quality content for your website or blog, then you will discover how effective it is for marketing your business online. When you post relevant information and useful content, it can scale up your Google page ranking for specific keywords. Quality content can build brand loyalty and trust. Moreover, it is a great way to captivate your target audience and get them glued to your products. The power of social media as an effective online marketing tool cannot be over-emphasized. By optimizing your business profile, you can make the most from the platforms and gain control of your brand’s online presence. You can announce discounts, offers, promos, and post quizzes and engaging content to increase your brand’s influence online. By following these guidelines, you can regain control of your brand’s online presence and mange your business online. 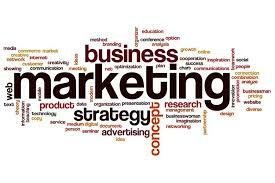 At Deo Marketing Solutions we provide marketing solutions to business in Houston and beyond.